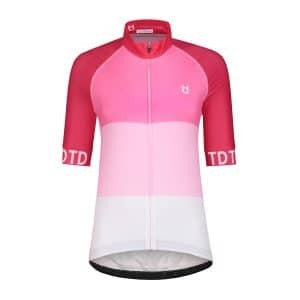 Quality cycling kits, jerseys and more - Best in class cycling wear by TD. A brand new Dutch design inspired on the country of origin of TD sportswear. 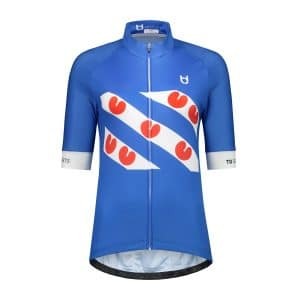 The windmills, cycles and tulips may not be missing on this jersey. Are you a cyclist who likes to wear the best cycling clothes? Then this cycling jersey made with the latest clothing technologies is the perfect cycling jersey for you. The front and back are made of breathable and quick-drying lycra. The cycling jersey is elastic and therefore has a perfect fit for you. This makes the jersey perfect for every level of cyclist. All our clothes are tested by professional test drivers, and labeled as perfect for cycling. These Frisian cycling pants are based on the province of origin of the TD sportswear founder Tjeerd Douma. The Frisian flag consists the famous pompeblêden. The cycling pants are made with highest clothing technologies and the most professional lycras. This results in a perfect fit for every level cyclist. Furthermore, the lycras are breathable, quick drying and have a perfect fit. You can use these cycling pants for short-, mid- and high range cycling due to the comfortable Dolomiti pad. Our clothes are extensively tested by our test bikers, and are labeled as perfect for cycling. This cycling jersey is suitable for anyone who has a connection with Friesland. 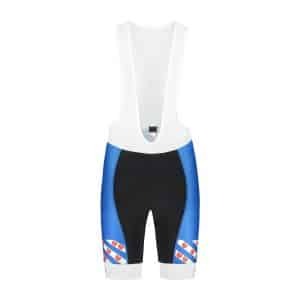 It is made with the newest cycling clothing technologies. This means that the used fabrics are breathable and quick drying. The fit is great and makes the jersey feel like a second skin. The perfect fit makes this jersey suitable for any level cyclist. This jersey will definitely make you different than others. All our clothes are extensively tested by our test bikers, and labeled as perfect for cycling. This cycling jersey gives a different dimension to the well-known camouflage colors. Due to the contemporary design and use of new colors, this cycling jersey has a classic look. We used the best fabrics and clothing technologies for this jersey. This resulted in a breathable, quick drying and perfect fitting jersey. It is suitable for any level cyclist and will make you different than others. All our clothes are extensively tested by our test bikers, and are labeled as perfect for cycling. This cycling jersey represents the beating of a heart. 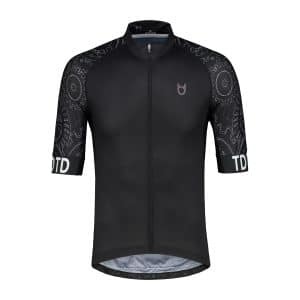 This cycling jersey is made of the highest quality fabrics and has an unique design. The cycling jersey is quick drying, breathable and has a nice fit. This makes the cycling jersey suitable for any level cyclist. With this cycling jersey you will be different than others for sure. All our clothes are extensively tested by our test bikers, and are labeled as perfect for cycling. A classic cycling jersey with mechanical design! Do you recognize the gears on the sleeves? 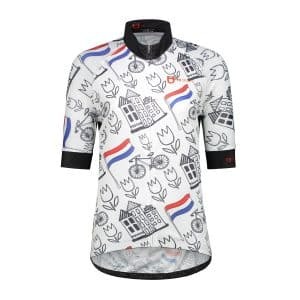 This cycling jersey fits perfectly with you if you like quality and unique designs. The latest clothing technologies have been used to create this jersey. The fabrics are breathable, quick dry and fit seamlessly. The jersey fits like a second skin. Suitable for every level cyclist. All our clothes are extensively tested by our test bikers. And are labeled as perfect for cycling. This pink jersey is made of the highest quality lycras and with the newest clothing technologies. The back of the jersey is made of high breathable and quick-drying material. This will ensure that your body can release its warmth easily. Furthermore, the elastic fit makes the jersey feel like a second skin which increases the comfort. This jersey is suitable for any cyclist that cares about quality. All our jerseys are tested by our test panel, and labelled as best in class jerseys. Do you want something different than basic black? Then this cycling jersey is perfect for you! The Red Dot cycling jersey is made with the newest clothing technologies and has a striking design. The used materials are quick drying, breathable and fit seamlessly. The fit makes the jersey feel like a second skin. Suitable for any level cyclist. Do you dare to stand out with this skull cycling jersey? Do you also like good cycling clothes? Then this cycling jersey is perfect for you! The latest clothing technologies have been used to create this striking cycling jersey. The front and back are made of breathable and quick-drying lycra. The cycling jersey is elastic and therefore has a perfect fit for you. This makes the jersey perfect for every level of cyclist. All our clothes are tested by professional test drivers, and labeled as perfect for cycling.